Lesley Flanigan presents Voices, a new work for vocal ensemble and electronics that expands her sculptural music-making approach from speaker electronics to the human voice. 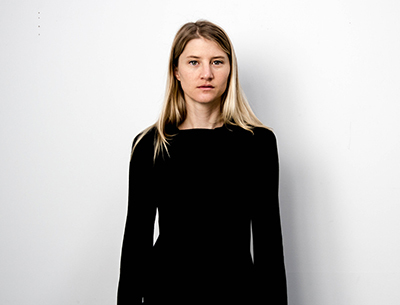 Lesley Flanigan is an experimental electronic musician living in New York City. Inspired by the physicality of sound, she builds her own instruments using minimal electronics, microphones and speakers. Performing these instruments alongside traditional instrumentation that often includes her own voice, she creates a kind of physical electronic music that embraces both the transparency and residue of process—sculpting sound from a palette of noise and subtle imperfections. Her work has been presented at venues and festivals internationally, including Sonar (Barcelona), The Pritzker Pavilion at Millennium Park (Chicago), the Guggenheim Museum (New York), ISSUE Project Room (Brooklyn), The Stone (New York), TransitioMX (Mexico City), CMKY Festival (Boulder), the Roskilde Museum of Contemporary Art (Denmark) and KW Institute for Contemporary Art (Berlin).